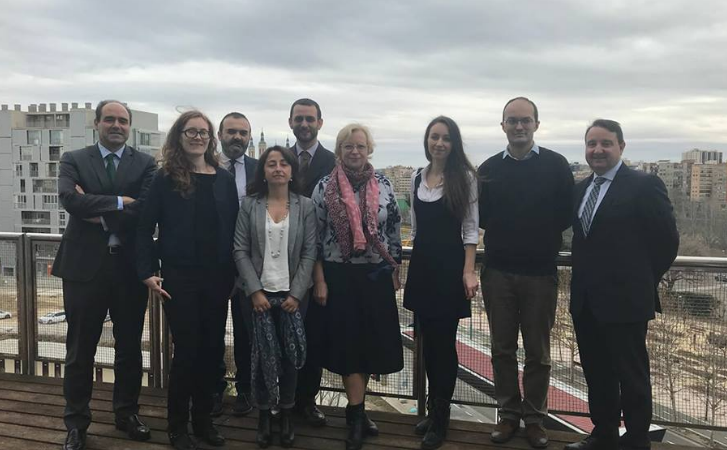 Inese Ozola participated in the 3rd meeting of the IWBLabs project partners and gave a presentation which was prepared together with Daina Grasmane prior to the meeting. The presentation focused on the Guidelines and Operative Tools for Students (written by Daina Grasmane). Also, Inese Ozola participated in the discussions of the further activities of the IWBLabs project. Information on the accomplishment of Intellectual Output 2 and dissemination activities was given to the project partners. After the return from Zaragosa, Inese Ozola informed the project team members of LLU about the 3rd project meeting and future tasks for the organization of students virtual traineeship in the project countries.